Are you planning on selling your home soon? 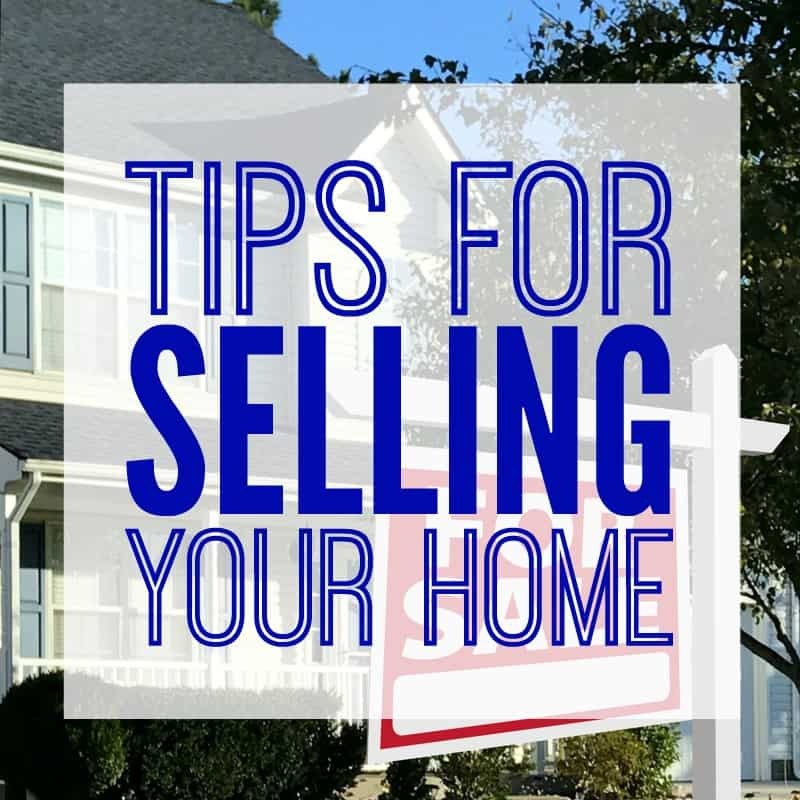 Today I’m sharing a few tips to sell your home quickly. 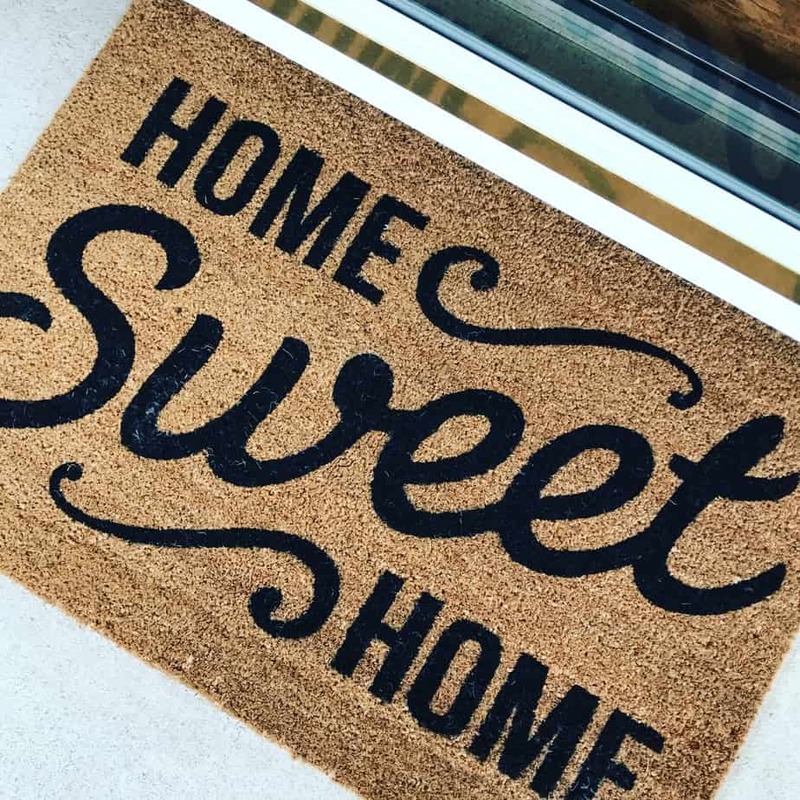 Now, I’m not an export but my husband and I just sold our house in four days and I’m sharing what we did to sell it quickly. We were so nervous that our house wasn’t going to sell so we did a lot of research and spent a few weekends getting the house ready. And, guess what? It worked! Our house sold quicker than we thought it would and we were ecstatic. As I look back, I’m confident these essential home-selling tips really helped sell our home quickly. I read that home buyers judge your home before they even walk through the door so the first thing we did was spruce up our curb appeal. But, I didn’t want to spend a lot of money on plants. I chose to spend money on things that I can take with me. I bought a new doormat and hung a pretty wreath on the door. 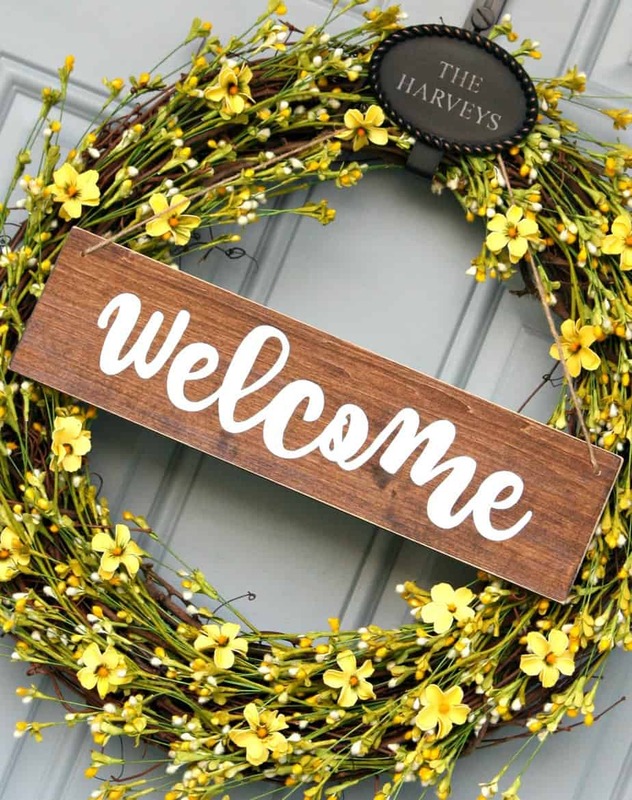 Grab their attention and make them feel welcome as they walk up to your home. Potted plants would look nice too and you can take them to your new home when you move. 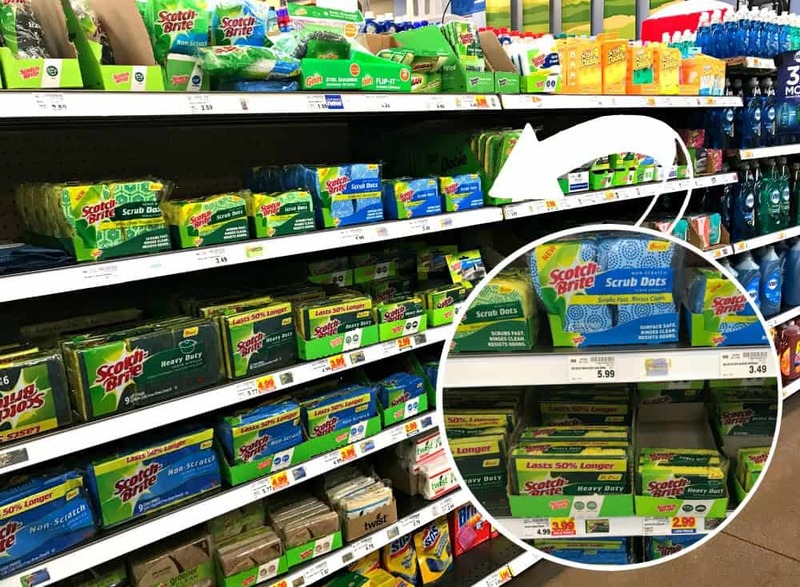 The first thing I did when we decided to put our house on the market was stock up on Scotch-Brite® Heavy Duty Scrub Dots Sponges and Scotch-Brite® Non-Scratch Scrub Dots Sponges. Then, hubby and I got to work scrubbing the kitchen cabinets, countertops, appliances, baseboards, walls, bathrooms – every inch of the house. My mom and dad even came down to help us clean everything and I’m not sure the house would have sold so quickly if it wasn’t for having such a clean home. And, I have to give a lot of credit to Scotch-Brite™ Brand . See all those scrub dots? They do exactly what they were designed to do – they scrub away dirt. 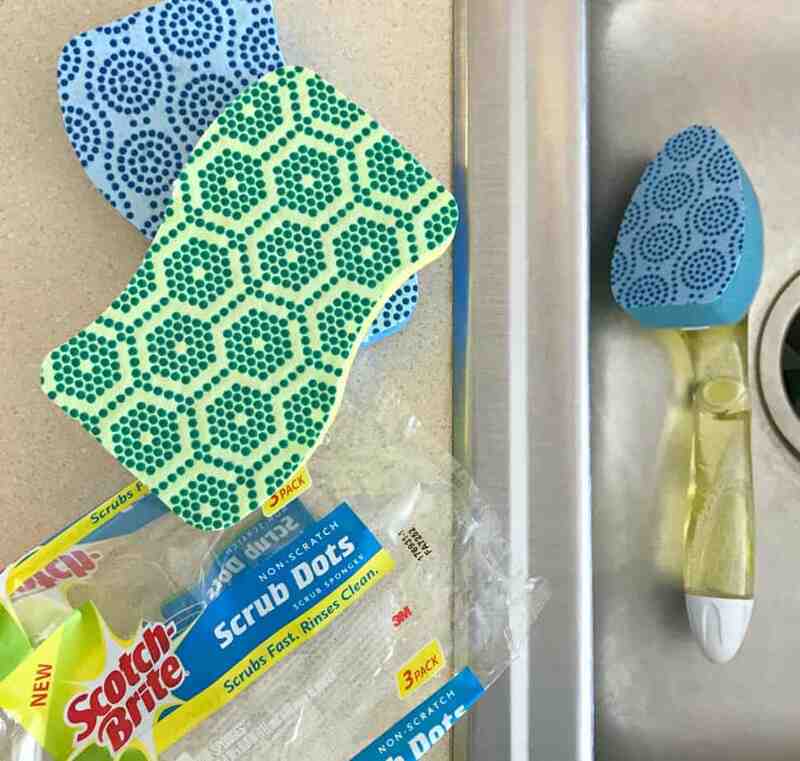 Not only do Scotch-Brite® Scrub Dots scrub away kitchen messes fast but they also scrub away bathroom messes, baseboard dirt, and so much more. Plus, I can always count on them to clean without scratching. Just look at all those dots! They really do have the power to eliminate dirt and believe me – we needed something tough. Two boys + one dog = lots of dirt! Before you focus on any other part of your home, look at your kitchen. Now, I’m not talking about remodeling anything. Make inexpensive fixes like a new light fixture or new cabinet hardware. You might just need to repaint or hire someone to clean the grout. Step back and see what are some inexpensive fixes you can make to the kitchen to get those buyers attention. And, like I mentioned before, clean and scrub every inch of your kitchen. We had already spent time organizing our closets so I made sure that everything was in its place. I bought some smaller bins and labeled everything. I wanted our potential buyers to open every closet and envision their personal belongings in the space. I also read that you should take half the stuff out of every closet to make them look larger so that’s what we did. At first I was going to wait to declutter as we packed but I decided to go through every space in the house and get rid of anything that we weren’t using anymore. Not only did this help to make the small spaces look bigger but it made packing easier. I also packed up our seasonal stuff that weren’t going to be using and stack the boxed neatly in the garage. Also, declutter means to take down all those knicknacks and personal items you have laying around the house. Pack things up and put them in the garage or rent a storage unit. The price of the storage unit will pay off in the end. Open the curtains and let the light shine in! Also, turn the lights on so your potential buyers and see every room in the house. This is probably the hardest thing to do especially when you have kids running around. 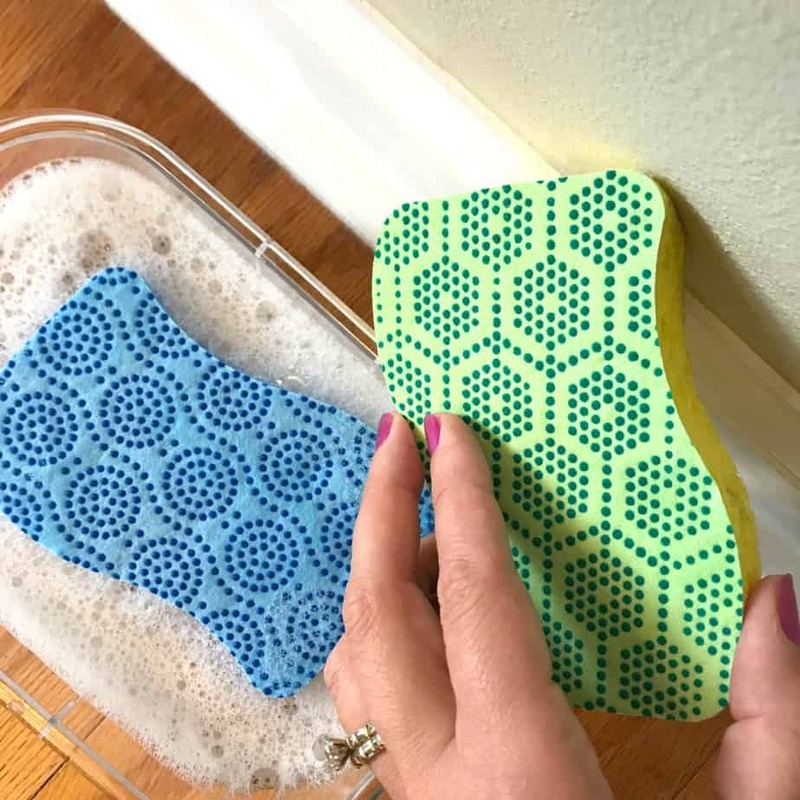 Keep a Scotch-Brite® Non-Scratch Scrub Dots Sponge in the bathrooms and a Scotch-Brite® Heavy Duty Scrub Dots Sponge in your kitchen for easy cleaning right before a showing. 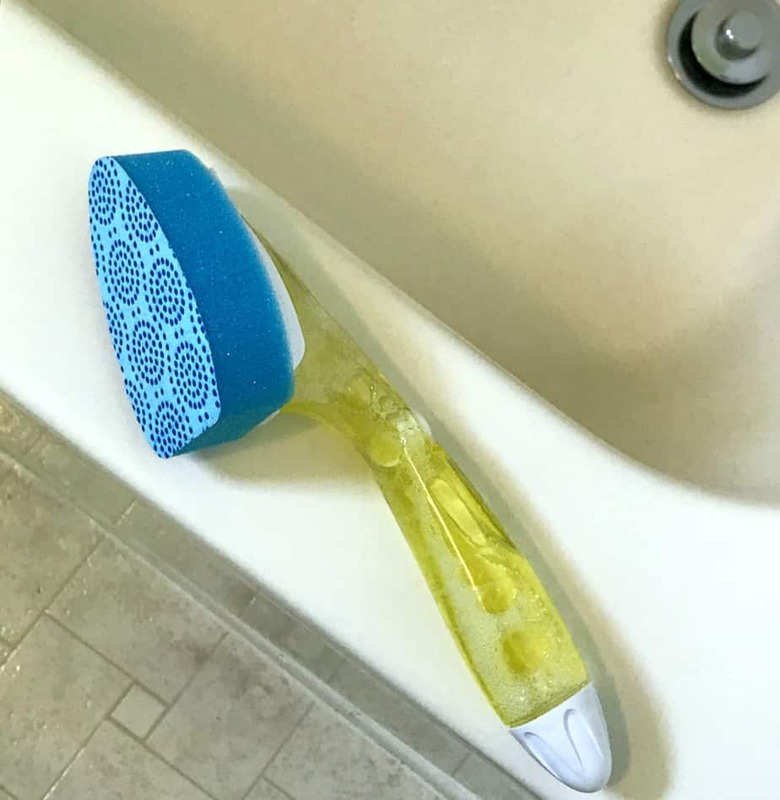 I also like to keep a Scotch-Brite® Non-Scratch Scrub Dots Dishwand in the shower for easy cleaning. Sometimes it’s just easier to clean the shower while your taking a shower:) Also, a friend suggested only using one bathroom in the house and closing off the others in the house while your house is on the market. This was a great tips because I only had to clean one bathroom when we got the call about an upcoming showing. Are you putting your house on the market soon? 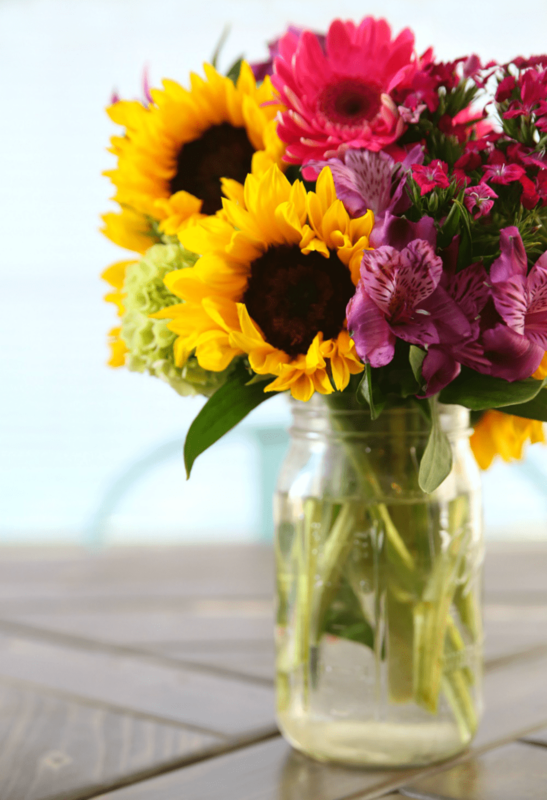 Head to Kroger and pick up some fresh flowers and a few packs of Scotch-Brite Scrub Dots Sponges and Dishwands. You can also buy potted plants for your front yard and organizing bins to help get your house ready for showings. 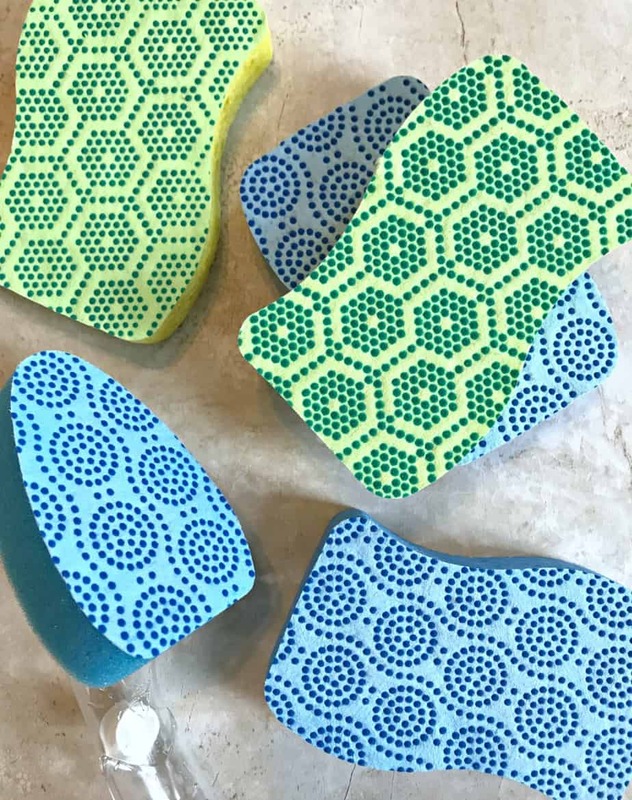 Do you know what makes these Scotch-Brite® Scrub Dots even better? 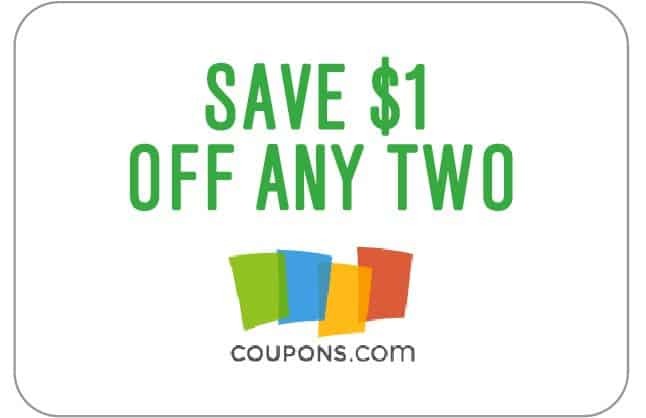 An awesome coupon to save you $1.00 off any two Scrub Dots items. Who doesn’t love to save money while shopping for your favorite products?! I just have to add that I love my local Kroger! Thank you for always having everything I need plus more. Shopping with a toddler is hard sometimes but they give out balloons and cookies to make shopping easier. Connect with Scotch-Brite on Facebook, Twitter, Pinterest, and Instagram for more awesome cleaning tips.